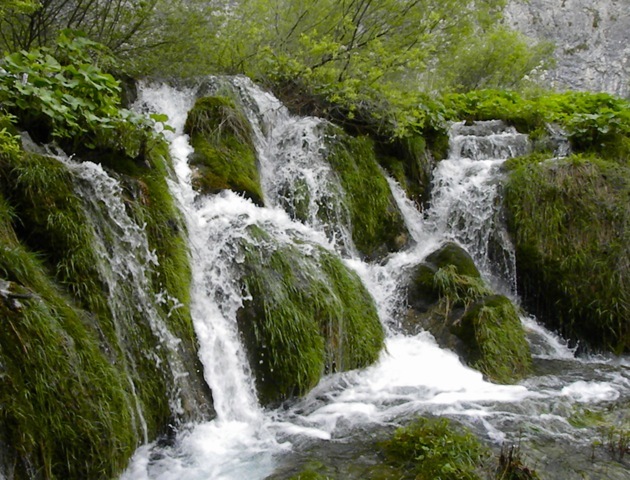 I heard about the Plitvice Lakes of Croatia as a wonderland of dancing waters. It is a series of 16 lakes in a narrow valley, cascading down 400 feet in elevation. It is frequently compared to JiuZhaiGuo (九寨溝) of China. They are both UNESCO World Heritage Sites, and both attract over a million tourists each year. 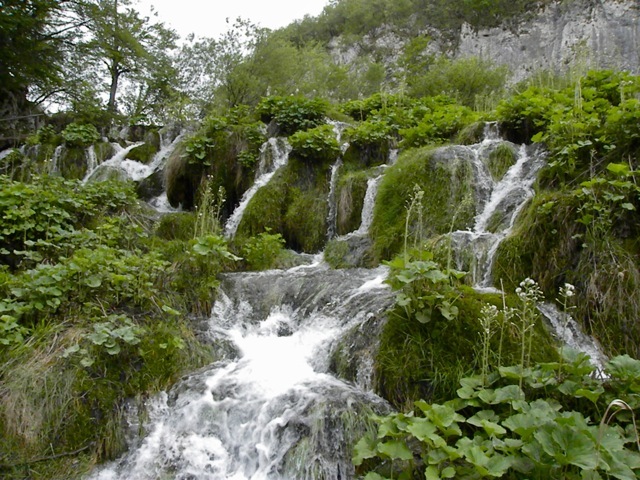 When I booked the tour of the Balkans, I made sure it included a visit to Plitvice. I looked forward to a pristine world of fanciful waterfalls snaking through rocks and shrubs as shown in this published picture. I was not disappointed. 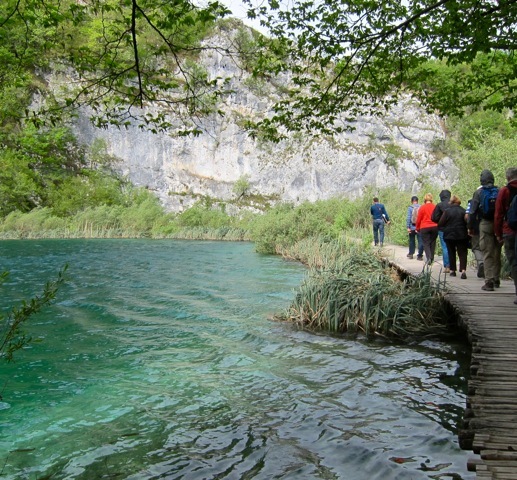 The first sight of Plitvice Lakes was a tall 250-feet waterfalls that towers over the barely visible footpath. The footpath skirts around the lake at the foot of the cliff. 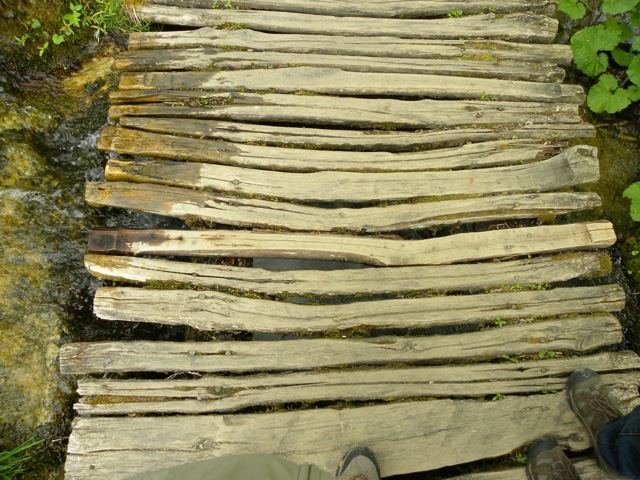 Tourists walk on well maintained path built over and next to the lakes. Part of the path is built with local tree branches. We started from the lower lakes and walked uphill. 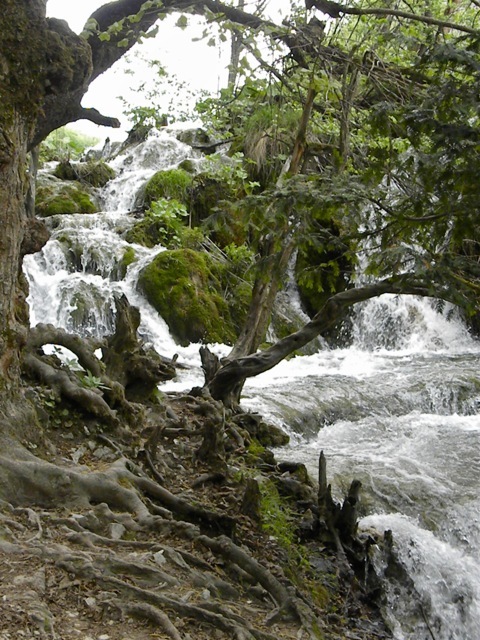 Although this required some uphill climbing, we always faced the waterfalls and saw the full glory of the cascading waters. 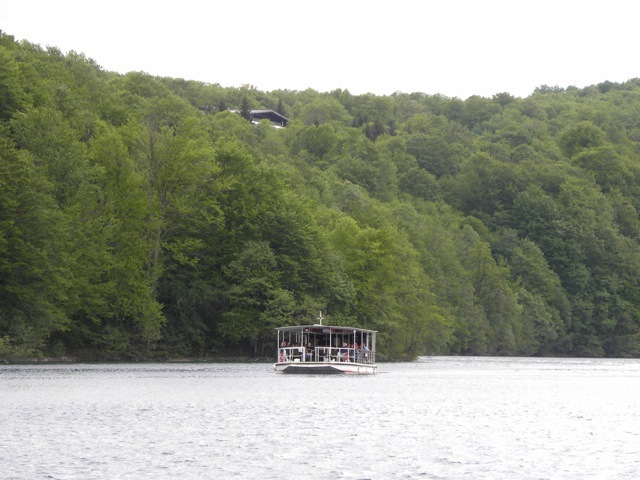 In the largest lake, a boat ferries tourist to the next scenic site. 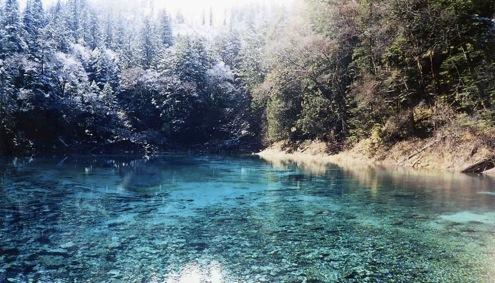 The lakes are fed by calcium carbonate-laden water percolated from the limestone mountains. 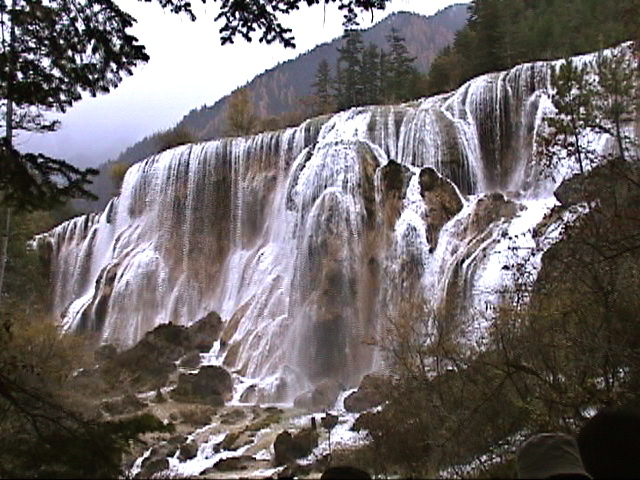 The calcium carbonate precipitates as floating microscopic tufa (鈣華) which attract suspended debris in the lakes and clarify them. We could see the lake bottom through the crystal clear water. The tufa crystalize and form dams that hold back each of the 16 lakes. 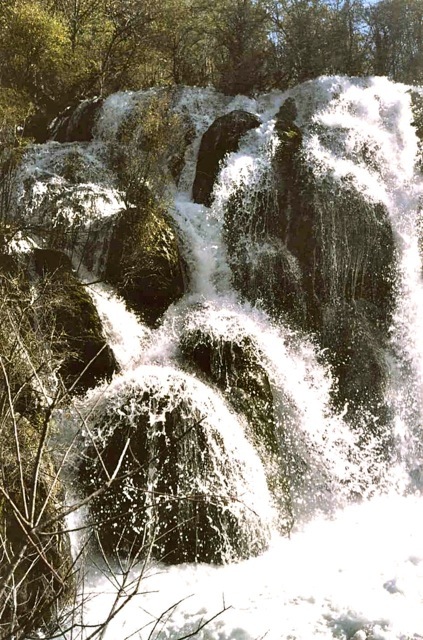 Water spilling over the wide dams make beautiful, fanciful spouts of waterfalls. 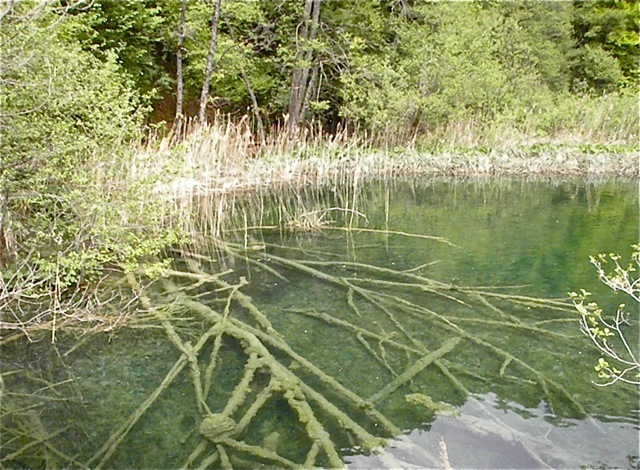 Lake-bottom vegetations seen through clear water give colors to the lakes. Moss and plants grow on wet rocks, and the water dodge between rocks and trees. 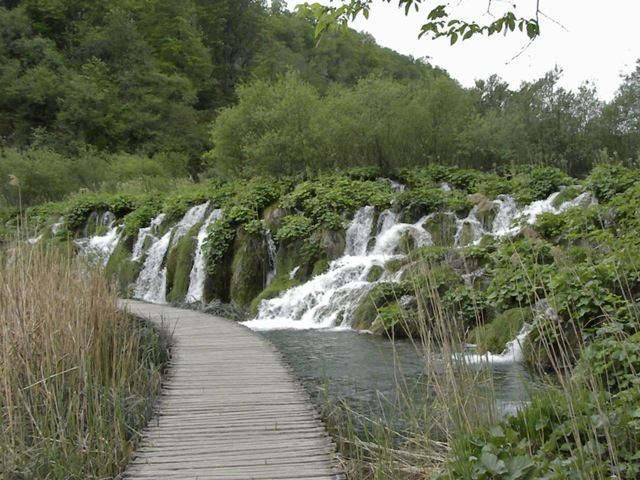 Having seen the Plitvice Lakes, I could not help but compare it to JiuZhaiGuo. 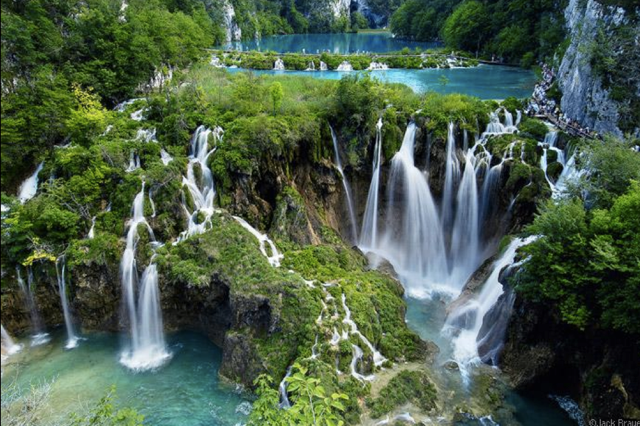 Plitvice Lakes occupies a narrow valley with 16 cascading lakes that look similar to one another. They are most scenic at the 16 dams for their numerous unpredictable waterfalls. The lakes, however, are relatively plain with few surprises. JiuZhaiGuo occupies a wider valley. 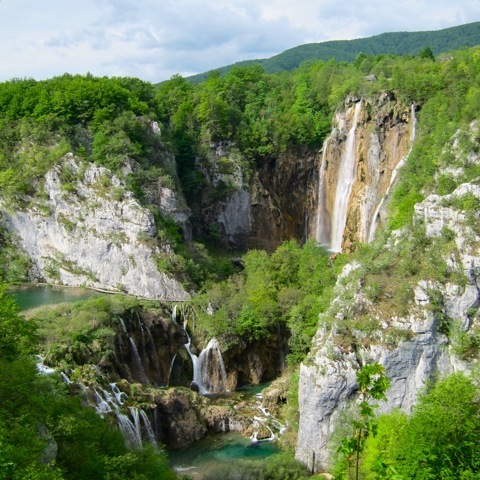 It has many different features that range from playful streams gurgling through rocks and trees, massive roaring waterfalls, unearthly colorful lakes, and numerous dancing falls like the Plitvice Lakes falls. 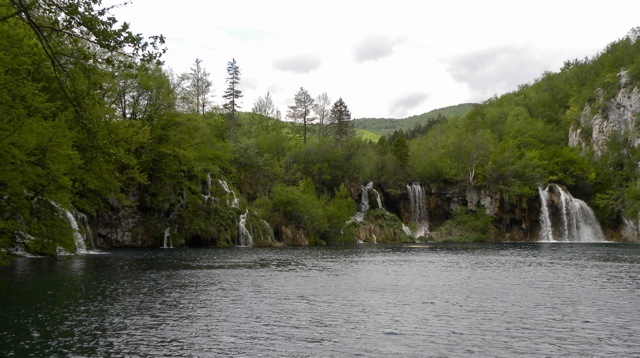 Personally, I think JiuZhaiGuo has more to offer than Plitvice Lakes. Posted by Robert Wu on Monday, June 25, 2012, at 10:33 pm. Filed under Uncategorized. Follow any responses to this post with its comments RSS feed. You can post a comment or trackback from your blog.